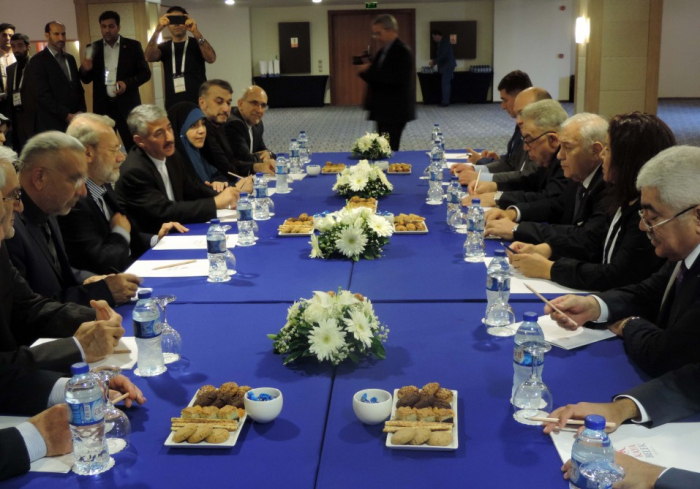 Speaker of Azerbaijan`s Parliament Ogtay Asadov has met with Speaker of the Islamic Consultative Assembly of Iran Ali Larijani on the sidelines of the third meeting of Speakers of Eurasian Countries` Parliaments in Antalya, Turkey. They discussed how to develop relations between the two countries` legislative bodies. The speakers hailed the dynamic development of ties between the parliaments. Ogtay Asadov noted that the Baku-Tbilisi-Kars railway creates great prospects for the North-South Corridor.